A growing number of elderly inmates. Thirty-six percent of all adults in the United States have limited health literacy (Agency for Healthcare Research and Quality, March 2011). Persons who have not completed high school, live in poverty, did not speak English before starting school, are a racial minority or are elderly are also more likely to have limited health literacy. Difficulty reading and comprehending can be embarrassing and stigmatizing for patients who have compensated for their problem over time with a number of coping strategies. Often patients considered noncompliant with care are instead not sufficiently health literate to carry out the plan. Finally health care clinicians routinely overestimate the ability of patients to understand medical information (Cornett, 2009). People with low health literacy are more likely to report their health as poor. They make less use of preventive services and have higher rates of hospitalization and use of emergency services. Persons with low literacy are more likely to have chronic conditions (high blood pressure, diabetes, asthma, and HIV) and are less likely to manage the condition effectively. Patients with limited health literacy are sicker when they access the health care system (AHRQ 2011, Institute of Medicine, 2004). Interventions to improve comprehension and increase self- management behavior reduced hospitalizations and emergency room visits and increased use of preventive health screening (AHRQ 2011). Many times health literacy is assumed to be the same as reading and comprehension skills. Health literacy actually includes in addition to reading and comprehension, the ability to understand numbers and calculations and to act on health information. Healthy People 2010 defined health literacy as “the degree to which individuals have the capacity to obtain, process, and understand basic health information and services needed to make appropriate health decisions” (United States Department of Health and Human Services, 2000). Just to get a sense of what is involved in health literacy take the Newest Vital Sign a screening test developed by the Pfizer Clear Health Communication Initiative. The tool uses a food label to screen for health literacy and it only takes about three minutes to administer. It is a good exercise in understanding what patients need to be able to do to be health literate. Checking no on a health history to avoid follow up questions. Missing appointments or making errors in medication dosing. 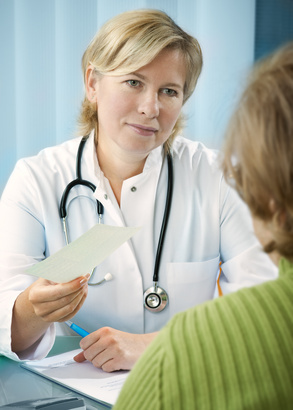 Irritability, nervousness, confusion, or indifference during health care encounters. Identifying medications by color, size or shape rather than name and purpose. Holding written material closer to read, lack of visual focus on reading material, using a finger to point at the words. This list isn’t to suggest that when someone displays these behaviors that the nurse should conclude that the patient has low health literacy but instead to adjust approach, consider asking a follow up question or offer to assist in a non-judgmental manner. What resources have you found particularly helpful in addressing the care of patients with low health literacy? Please tell about your experience, success and resources addressing health literacy in the correctional population by responding in the comments section of this post. To read more about how to assess and address health literacy order your copy of the Essentials of Correctional Nursing directly from the publisher. Use promotional code AF1209 for $15 off and free shipping. Berkman ND, et. al. (March 2011). Health Literacy Interventions and Outcomes: An Updated Systematic Review. Evidence Report/Technology Assesment No. 199. (Prepared by RTI International–University of North Carolina Evidence-based Practice Center under contract No. 290-2007-10056-I. AHRQ Publication Number 11-E006. Rockville, MD. Agency for Healthcare Research and Quality. National Research Council. (2004). Health Literacy: A Prescription to End Confusion. Washington, DC: The National Academies Press. This entry was posted in Assessment, Evidence Based Practice and tagged Catherine Knox, correctional nursing, diversity, Essentials of Correctional Nursing, Evidence-Based Nursing Practice, health disparities, jail nurse, prison nurse. Bookmark the permalink. ← Do You Wonder How Many Correctional Nurses Are Out There?